The news that made the headline recently was Malaysia head coach Nelo Vingada resigned on following just seven winless months in charge, saying that he had to "take responsibility" after a wretched sequence or results saw the Harimau Malaya fall out of contention for qualification for the 2019 AFC Asian Cup. Is he really to blame? 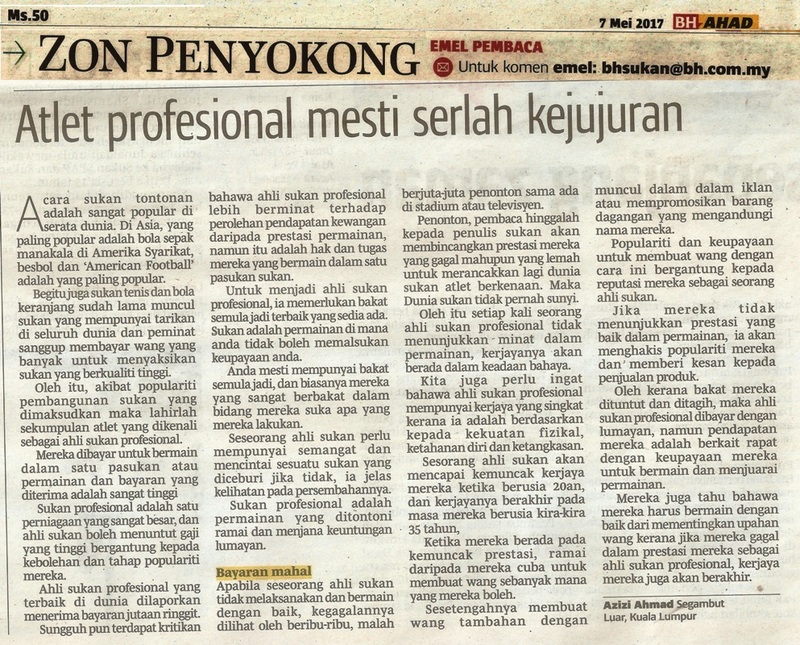 He is a ‘professional’ indeed, knowing the time to quit without having others to tell him. Everyone in the world admires ‘football’ or soccer and admires professional footballers. Football without professional ranks is like having education success without attaining university level. 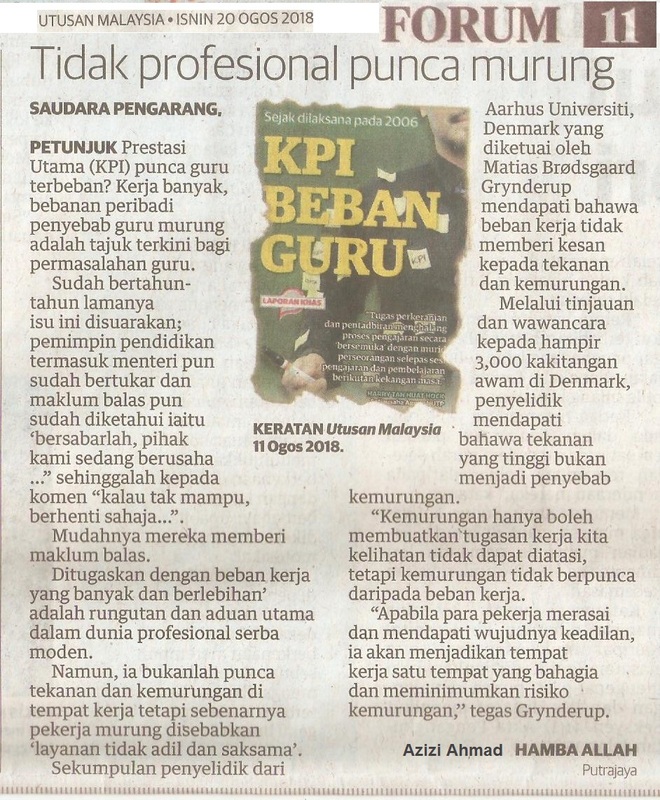 Malaysian football join the ‘professional era’ more than two decades ago and yet the standard seems not to the ‘professional standards’ especially talks about the players. 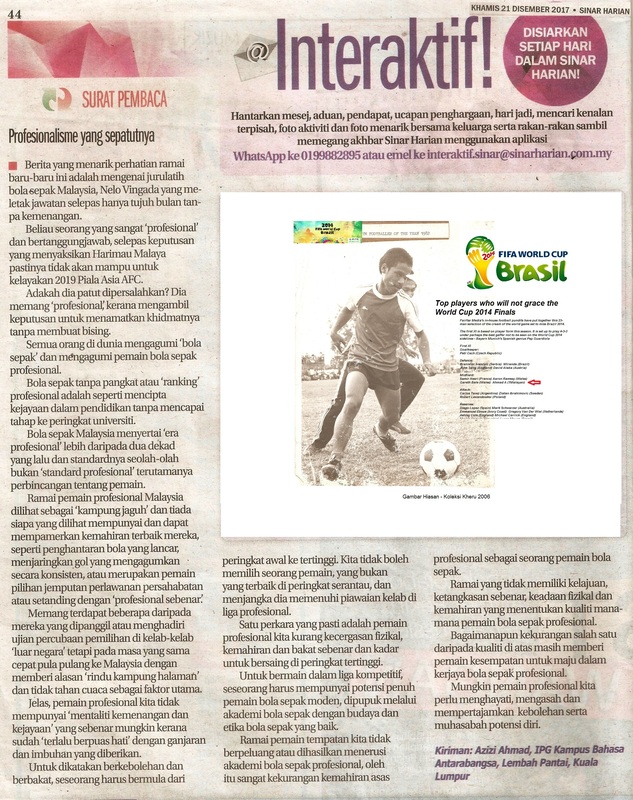 Many of the Malaysian professional players are seen as ‘village heroes’ (jaguh kampung) and none are nowhere capable of putting their best skills, dazzling runs, providing hotshots or even at par with the ‘real professionals’. There are some who were called or attended trials in ‘overseas’ clubs but at no time packed their bags home giving of course ‘homesick’ and the weather as the main factor. Then, one cannot be a professional if having the kind of mentality. To be capable, one has to start from low to the highest. One cannot pick a player, who is not even the best at the regional, continental level and expect him to meet standards of a club in the professional leagues for example. One thing for sure is our professionals lack the physical fitness and the pace to compete at the highest level. To play in such competitive leagues one has to possess full potentials of a modern footballer, nurtured through football academies with good football culture and ethics. Many of our players have been frustrated at the professional stage. Many have failed the physical part of the game and I think before engaging to pro-leagues, one should try to find out measures and standards at which professional football is tested. Many of our local players have not had a chance to get through professionally run soccer academies, thus lack fundamental skills of a footballer. Lack of height and physical agility might have rocked the local star. Speed, physical condition and skill determine the quality of any professional footballer. Missing one of the above qualities still gives a player an average chance to progress in professional football career, but lack of two qualities makes a player lie below standards. Perhaps our professional will have to collect their abilities and memorize own potentials. Professional skills to battle as a ‘professionals’, but lacks the physical condition and pace to stop lions around the world football. Lack of good physique, pace and mentality are the major weaknesses of our professionals to my opinion.